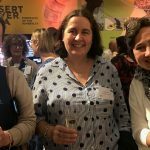 The iPad apps store is a bit of a swamp when it comes to free stuff, with many wonderful things, but a lot of dross, and a few nasties worth avoiding. 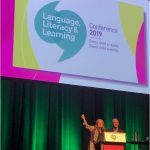 Most parents don’t have time to trawl through the swamp finding good literacy stuff, even if they understood the literacy research well enough to know what to look for. The kids I see in clinic for literacy problems often have younger siblings, and literacy problems can run in families. So I went looking for free apps that might interest and help my students, but also some give-your-youngest-a-head-start activities. I blew about a quarter of this month’s internet access and half the weekend downloading free apps and checking them out, so hopefully now, you don’t have to. The main thing I was looking for was apps that are consistent with best practice in early literacy teaching, i.e. 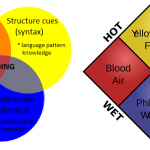 synthetic phonics. 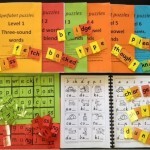 Synthetic phonics teaches children how to hear the individual sounds in words and learn the relevant letters/letter patterns, and how to blend sounds into words (when reading), and segment words into sounds (when spelling). I’ve also weeded out apps containing phonetically inaccurate information, bugs, inappropriate pop-up ads, and activities that are just plain boring. I’ve ended up with nine folders called “Knope” (I discovered Parks and Recreation while I was a city Mayor, ROFL) and less than three folders of apps I’d recommend. Here are my top 10 free apps for early literacy learning. This is actually a set of 15 English apps, plus there are four Spanish apps which also look great (she said, with her ESL teacher and Spanish-learner hats both on). 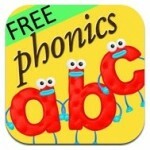 Three “Reading Skill” apps work on blending and segmenting, firstly with sounds alone, and then adding letters. App 1 contains three-sound words (tag, bed, pig, dog, sun, mess, doll, cuff etc. ), App 2 contains four-sound words with initial and final consonant blends (frog, tent, bend, trip, gift etc. ), and App 3 contains longer words with the same vowels. 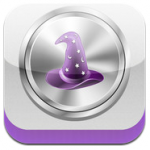 The “Spelling Magic” apps 1, 2 and 3 teach (surprise!) spelling, using the same vocabulary and logic as the “Reading” apps. 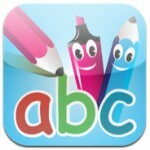 The eight “ABC Magic” apps contain a range of activities – hearing first and last sounds, matching pictures, sounds and letters, and memory games. The single “Sentence Builder” app allows the creation of little sentences from two or three words, like “Jim hid” and “Dot can hop”. The pictures and voices are all high-quality (if American), the menus and layout are simple and consistent, the sounds are crisp and correct (no “suh” instead of “s”, no lazy clumping “b” and “r” into “br”), and they aren’t stingy with the vocabulary. 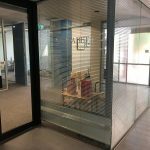 Everything is finely-graded, the options make sense, and errors are simply ignored, (no fun fart noises that might encourage deliberate mistakes, or opportunities to misspell words and commit them to memory). Some parental supervision will help the youngest learners get the most out of these apps, but because they’re not teddy-bearish, they’re also very suitable for older, struggling learners. I’ve already used them with an adult in therapy today. 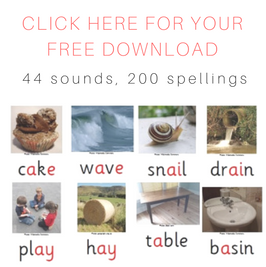 This is a subscription-based app based on sound synthetic phonics principles, and is high-quality in terms of pictures, voices, layout etc. Unfortunately it’s not possible to have a quick look at all the games, or to skip ones that are too easy for your child, as you have to complete each game to move onto the next one, like a real gamer. The backdrop to the app is a story about a superhero teddy whose friends need rescuing, and the first level teaches children to listen for sounds and find the right letters, with activities like popping bubbles, blowing out candles and swatting flies. Some of the activities are a bit too long, e.g. the frog-lily pad one requires 40 matches. If your kid can do an activity but is bored with it, you might want to help them finish it, so they can get onto more excellent stuff up ahead. This app requires you to choose one of six letters, then listen to the sound and trace the letter with your finger, following a model and prompts. Once you’ve learnt three letters, you start building little words with them, like “at” and “sat”. The words are sounded out and then you’re taught three more letters, which again are blended into words. If you make a mistake, a couple of pencils frown and you’re told to “try again”, and given less to choose from. Multiple options can be adjusted in the settings, including handedness, letter case and sounds. Before you hand this app over to an early literacy learner, go into the settings and under “Topics” turn off “other 3 letter words” (i.e. take out the hard words), and under “Games” turn off all but one of the games, so your learner can focus on one game at a time for starters, and mix them up later. The first activity requires listening to a word and finding the right picture. Next, you match a written word to one of four pictures, then one spoken word to one of four written words. 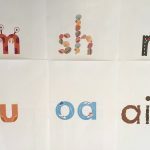 Then there are activities that require learners to choose the right first or last letter to complete words, but there seems to be no difference between the ones called “phonics” and the ones called “spelling”. An amusing noise is played when errors are made, which looks like it should be able to be turned off in the control panel, but I can’t work out how. There is a two-player mode, and winning can be based on either speed or skill. It’s possible to answer questions prematurely, but if you get one wrong, it can be repeated by touching the picture. This app is very customisable, e.g. you can add new vocabulary, make the sticker rewards less frequent for older learners (unfortunately they can’t be turned right off) and record your own reward phrases (my version now says “Howzat”). 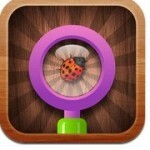 There are three free Howie apps. 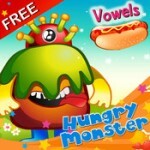 The one called Vowel Lite requires learners to put hotdogs in buns for a one-eyed monster by adding the correct vowel. It’s simple and clear, includes lots of different vowel sounds and spellings, says “uh oh, try again” when you make a mistake, and it has a high-quality (though American) voice. It’s great. I just wish the monster’s diet was a bit more healthy and varied. In the app called Build Lite, the monster’s diet takes a turn for the worse with pink macarons, and the activity is assembling onsets and rimes (e.g. t + ip, t + erm, m + ood) to make words. The app called Word Family has the monster eating pizza and again, onset and rime are the building blocks, apart from the last level, which requires learners to find the rhyming words. I’d rather that the word-building-blocks in the latter two apps were single sounds (e.g. t + I + p, t + er + m, m + oo + d) but these activities are generally going to be helpful not harmful, especially if they can also be used to convince kids that if they eat too much junk food, they’ll turn into one-eyed monsters. This app plays a sound and you have to touch the right letter. It uses a mix of lower and upper-case letters (you can’t set it to one case or the other), gives you hints when you’re stuck, and has both one and two-player games, for a bit of healthy competition. A settings panel allows some customization e.g. you can have small arrays of big letters or big arrays of small ones, and you can change the sounds and game mode. Please use this app with the “Categories” set to “Letter Sounds” not “Letter Names”. It’s much more important for early learners to know letter sounds than letter names, and once you get onto longer spellings, letter names can be very confusing (E or “ee”? R or “ar”?). Choose a letter (or number) and you’re told the sound and shown how to write it. Then it’s your turn to trace the letter with your finger. If you make a mistake it just says “try again”. If you get it right a kid’s voice says “you did it!” and then lots of kids say “Yay”. Simple and nice for learning letter formation. This has to be the world’s simplest crossword app. The first set of crosswords contain only two words, and are really letter matching activities. When you move letters onto the crossword, you hear the relevant sounds. On completion of each word, you get a picture and sound reward. Next are three-word crosswords that require you segment words into sounds in order to put the letters in the right order. Very cool, now little kids can do crosswords when their parents do. There are two menu options. Under the “read and write” option, touch a picture (e.g. of a bat) to hear its name sounded out (b-a-t), then trace the word with your finger. Under the “spell” option, the same picture has its letters floating around the screen in bubbles, which you have to put in the right order to make the word. Voice and pictures are high-quality and you can add unnecessary letters to make the task harder, and change the sounds and rewards. I’m not sure what happened to Phonics Fun 1, 2 and 3, but these three apps from Hong Kong require learners to match either initial letters to words (e.g. hear “elbow” and drag the “e” onto it), or do the same with rimes. Yes, that’s right, they work with word chunks like “um” and “ed” rather than drilling right down to single sounds, free-literacy-app beggars can’t always be choosers. Menus, layout etc. are all simple and clear and the voice is high-quality. The pictures are simple cartoons. A “whee” error sound doesn’t seem to be able to be turned off, and occasionally they throw a final sound in among the rimes. However these apps made it onto my list because there is generally too much focus on word beginnings in early literacy, and not enough on word endings. These apps help tip that balance a little. This entry was posted in blending and segmenting, Fun, phonics activities, phonics games, sound-letter links, sounds, spellings, vowels, word attack and tagged ipad apps on November 5, 2012 by alison. Thanks for this great list… we live in the country so don't have the internet access to download and try lots of apps, this is going to save me heaps of time and my 'about to start school and so desperate to read' five year old will love them.